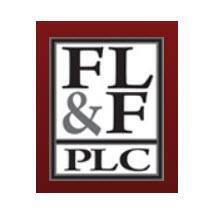 Faith, Ledyard & Faith, PLC, is a law firm that provides general legal services to businesses, individuals, real estate developers, construction companies, governmental entities and other parties throughout the greater Phoenix area and the state of Arizona. It has earned a strong reputation for delivering quality legal services in an efficient and cost-effective manner. The firm's clients benefit from its extensive experience in its practice areas, local knowledge of the West Valley and direct access to knowledgeable attorneys. The primary practice areas of Faith, Ledyard & Faith, PLC, include business law, estate planning, real estate, construction law, personal injury, employment law, criminal defense, probate, collections, bankruptcy and government law. The attorneys at the firm are committed to helping clients achieve their financial and personal goals. As counselors, they listen to their clients' concerns and respond with cogent solutions tempered by years of experience. As advocates, they work diligently to protect the rights and interests of clients through negotiation, mediation, arbitration and vigorous advocacy in court. Whether it involves the purchase of a business, the creation of an estate plan, or another matter, you can depend on Faith, Ledyard & Faith, PLC, for sound advice and results-oriented representation. To schedule a consultation with an experienced lawyer, call 623-806-8994. Headquartered in Avondale, Faith, Ledyard & Faith PLC, serves clients throughout the state of Arizona.